If you are a dog lover, then chances are you like to take your dog along with you for rides in the car. If your dog spends a lot of time in your car (or you have recently purchased a used car from a dog lover), you might notice that there is a distinct dog odor that comes along with it. 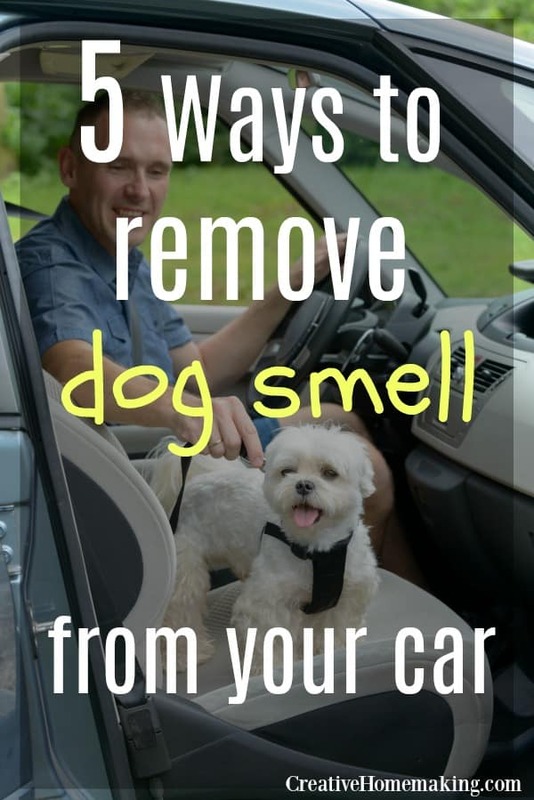 Here are 5 of my favorite ways to get the dog smell out of your car quickly, and easily. Baking soda is very inexpensive and often works for getting stubborn odors out of places like your car. You can even make your own DIY odor absorber for your car with baking soda. You can also just place a small bowl of baking soda in your car overnight and see if that helps. It may be necessary to leave the baking soda in your car for several days if the dog smell persists. 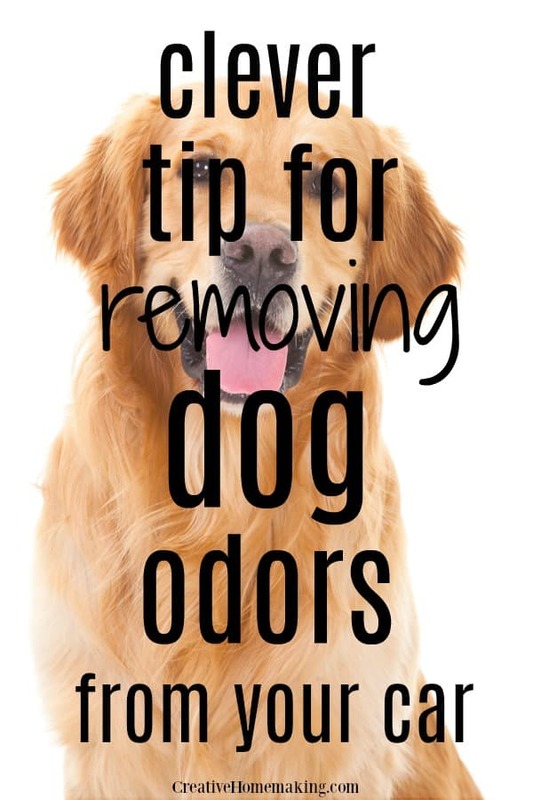 Vinegar is also a great way to get rid of unwanted smells like dog odor. Mix equal parts white vinegar and water in a spray bottle and spray it on the upholstery in your car, taking care to avoid items you don’t want to get wet, like leather seats. 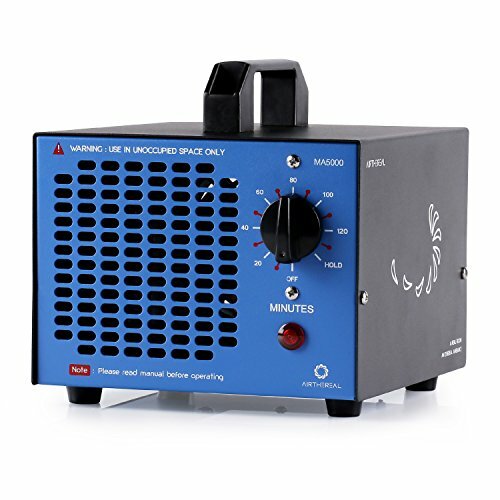 Don’t worry, the smell of vinegar will not linger, the smell of vinegar will dissipate, along with the unwanted dog odor. Dryer sheets work wonders for absorbing pet odors, in fact they work great for absorbing odors of almost any kind! Just place a couple of dryer sheets in your car and leave them in there for about a week. They should definitely help to get rid of the dog smell in your car. If the baking soda or vinegar and water don’t work, try using a carpet cleaner to steam clean and shampoo the upholstery in your car. Use a carpet shampoo like Nature’s Miracle Stain and Odor Remover Carpet Shampoo. It is made specially for removing pet odors. Turtle Wax sells a great upholstery cleaner called Powerout! 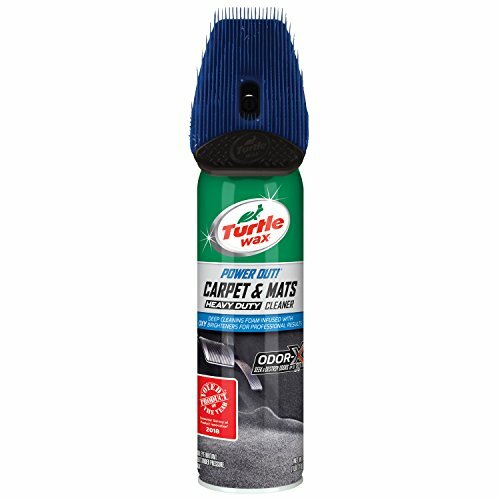 Carpet and Mats Cleaner that you just spray on the upholstery and mats in your car. This product is made specially for removing odors caused by pets, cigarette smoke, and mildew. Like these tips? You might also like my tips for removing dog urine stains from carpet.